I have some amazing realtors I have the pleasure to work with and I am going to do a few blog posts to highlight them and the homes I have recently done for these agents. My first selection is Patti Chapman,(478) 714-2133, with Sheridan, Solomon & Associates. Patti is a dynamic woman and fantastic agent and she will warm your heart and help you find the best home for you and your family. She works tirelessly in Real Estate and is always happy to help people with a big gorgeous smile! 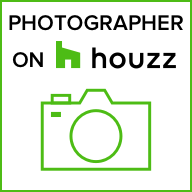 Below are the current homes I have photographed for her that are a definite MUST SEE! Click the links under the photos for their own pages.